3 Bdrm Semi-detached Dwellhouse. Ground flr: Hall. Lounge. Dining kitch. Family rm. Bdrm. Bathrm. 1st flr: 2 Bdrms. Boxrm (CT Band - E). Garden. 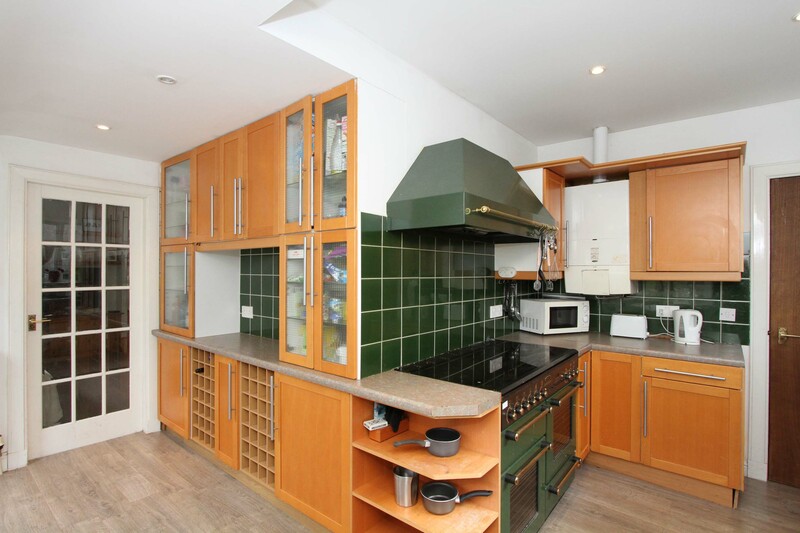 Price over £250,000 Entry by arr. Viewing Mr Caird 07850 481167. (EPC band - F). Accommodation: Ground Floor: Entrance Hall, Lounge, Dining Kitchen, Family Room, Bedroom 1, Bathroom with Shower. Upper Floor: Double Bedrooms 2 & 3, Box Room. Gas Central Heating. Double Glazing. Front Garden & Fully Enclosed Rear Garden. Patio Area. Suitable for HMO. 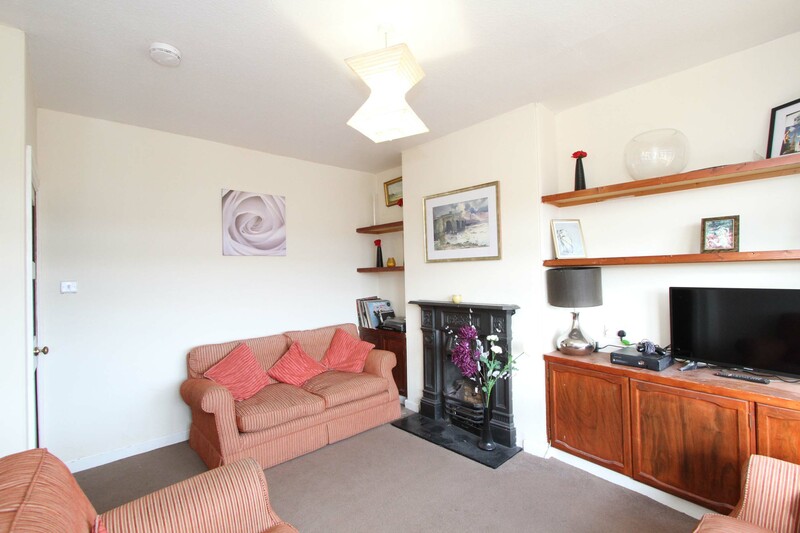 This THREE BEDROOM GRANITE SEMI-DETACHED DWELLINGHOUSE is located in the sought after area of Ferryhill. The property is in need of basic renovation and offers good family accommodation over two floors. 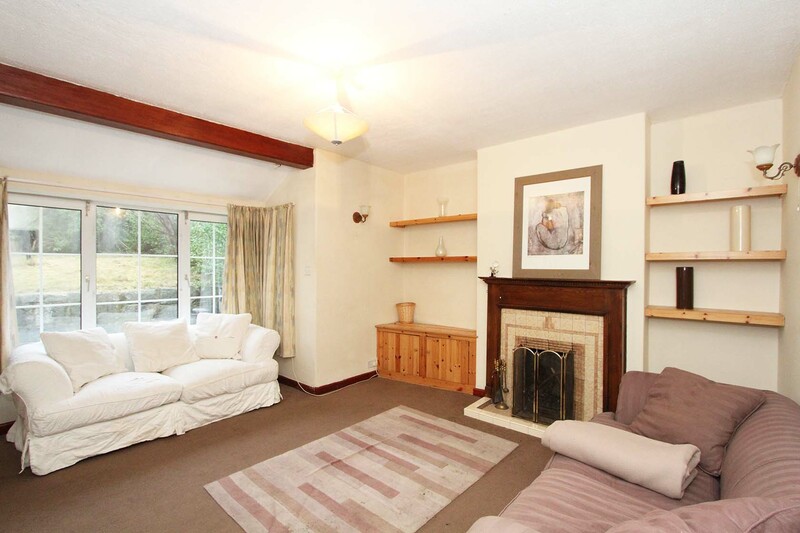 The bright lounge is to the rear, offers a lovely spacious living area, and has a feature fireplace. 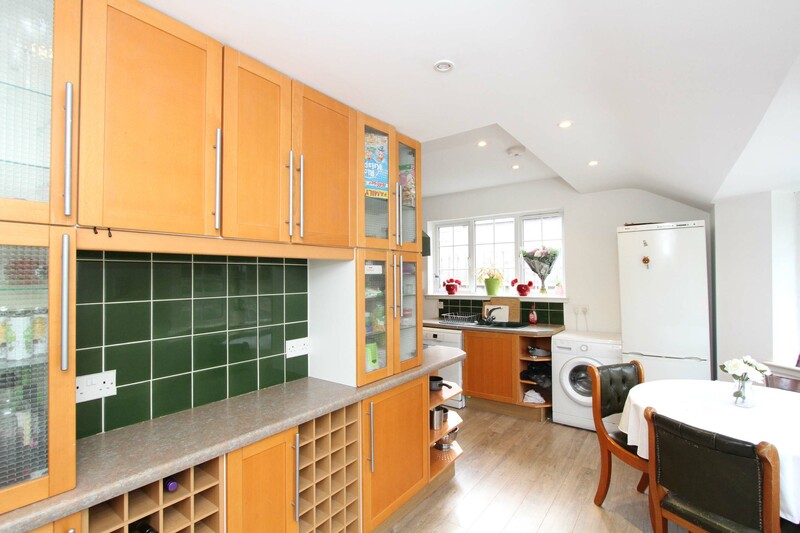 The good sized kitchen is well fitted with excellent storage units, and provides ample space for dining. Also located on the ground floor is the family room and double bedroom one, both to the front of the property, and the family bathroom with shower. 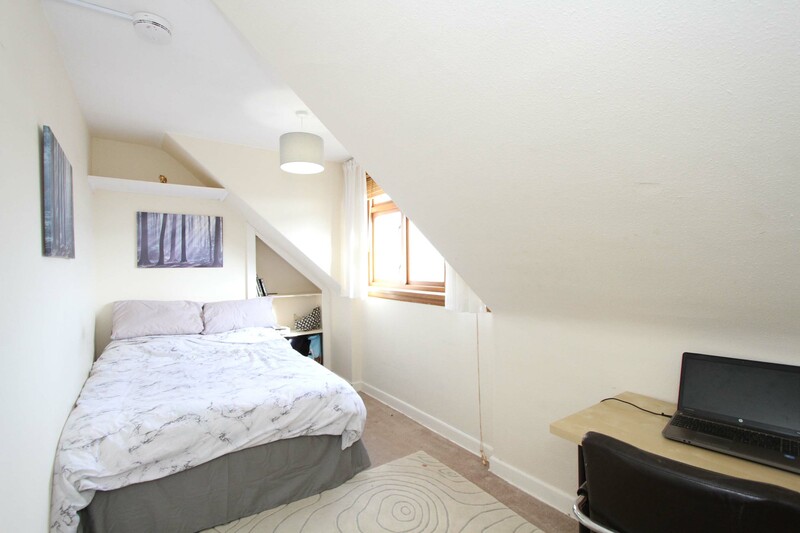 On the upper floor are bedrooms two and three both of which are a great size and an additional box room which may be suitable for conversion to an en-suite subject to the relevant planning permission being obtained. The property benefits from gas central heating and double glazing. Outside, to the front the garden is on two levels and to the rear the fully enclosed garden is also on two levels, and has a decked patio area in addition to the lawn. 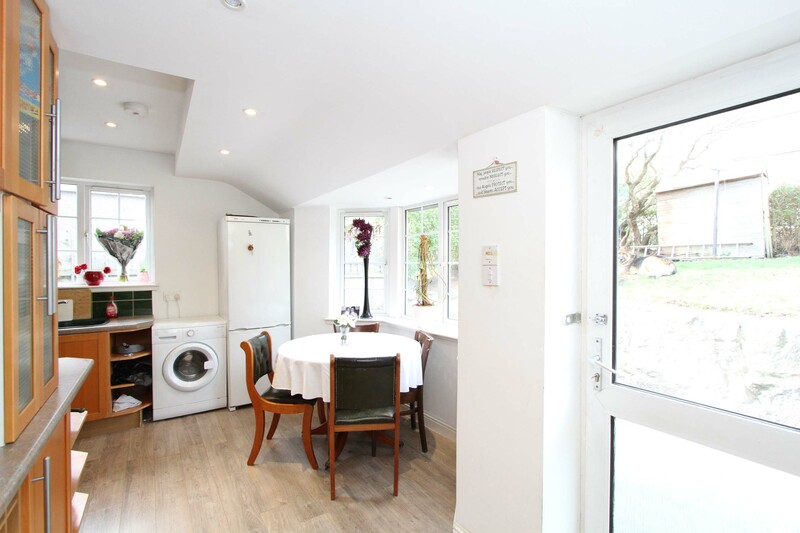 Included in the sale price are all floor coverings and light fittings, together with the white goods in the kitchen. NB. 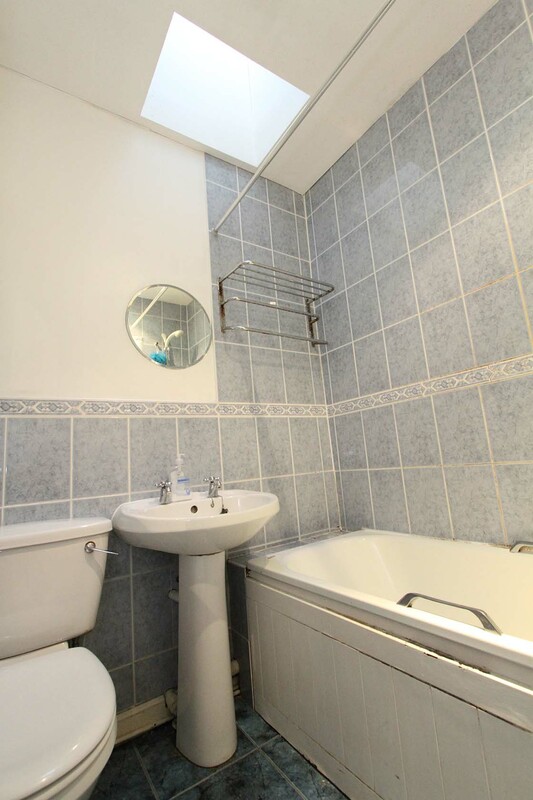 The property is suitable for an HMO licence. 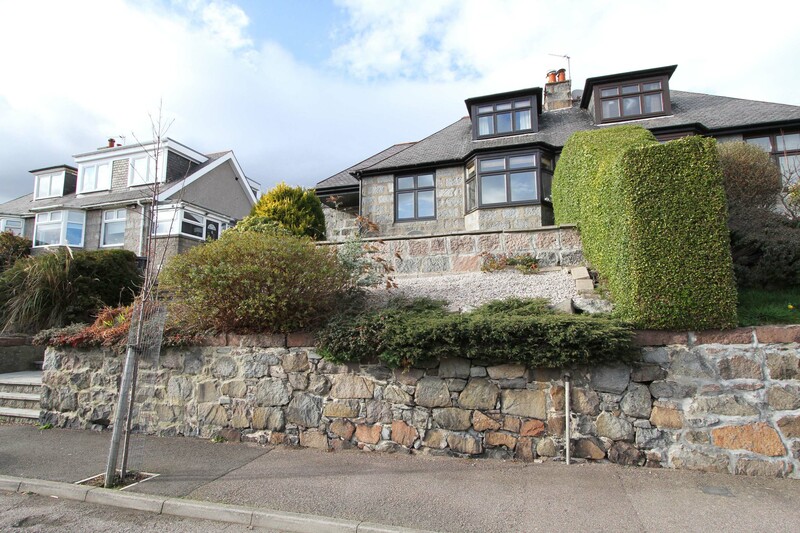 Deemount Gardens is a quiet residential street which is close to public transport, local shops, a highly-regarded primary school and is within easy walking distance of Union Street. The Duthie Park with its many attractions, including the Winter Gardens, is nearby along with many routes for both walking and cycling. A wide range of pubs, clubs, restaurants and leisure facilities are all close at hand. DIRECTIONS: From Union Street at the junction with the Music Hall travel into Crown Street, continue ahead through two sets of traffic lights into South Crown Street. Exit left into Polmuir Road then second left into Deemount Road. Deemount Gardens is located on the right hand side with Number 17 some way along on the left hand side. ENTRANCE HALLWAY: Exterior uPVC door with opaque glazed panel over. Picture rail. Coat hooks. Side facing opaque window and velux window flood the area with light. Under stair storage cupboard. Telephone point. Smoke detector. Carpeted stairway and balustrade banister leading to upper floor. Light fitting. Two radiators. DINING KITCHEN: 15'1"x 14'0"(longest & widest) approx. 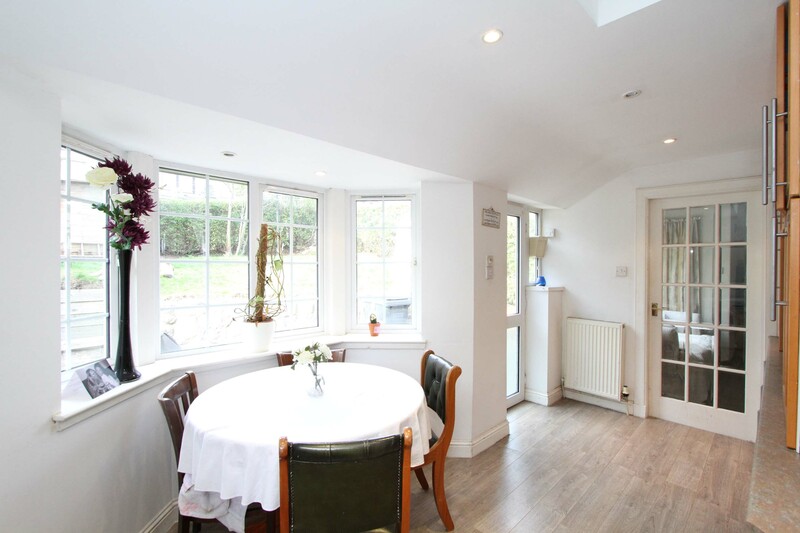 Spacious L-shaped dining kitchen. Well fitted with wood effect wall and base units incorporating display cabinets, shelving, wine racks and roll front worktops. Asterite sink with mixer tap and drainer. 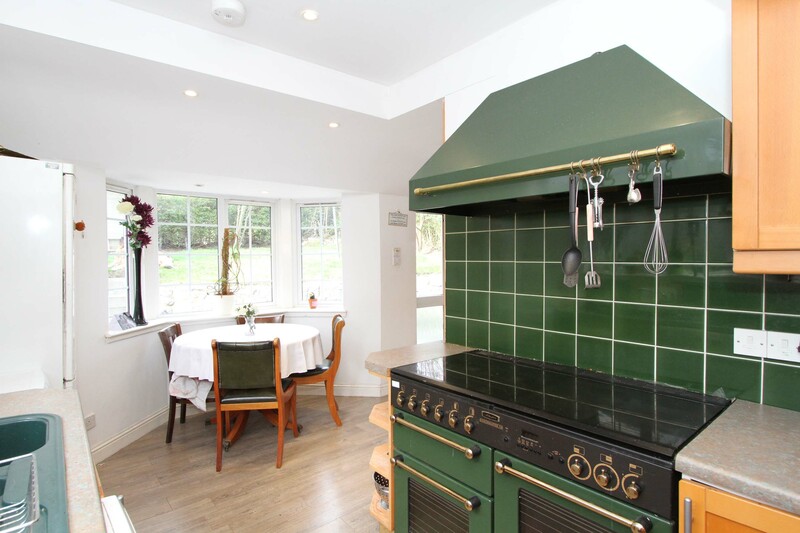 Rangemaster cooker incorporating four gas burners, hot plate and halogen hob and with extractor hood over. Splashback tiling. Wall mounted central heating boiler. Servis dishwasher. Bosch fridge freezer. Bay style window to the rear and side facing window. uPVC rear door with glazed panels. Ten downlighters. Laminate wood effect flooring. Two radiators. FAMILY ROOM: 14'9"(into bay) x 10'6"approx. 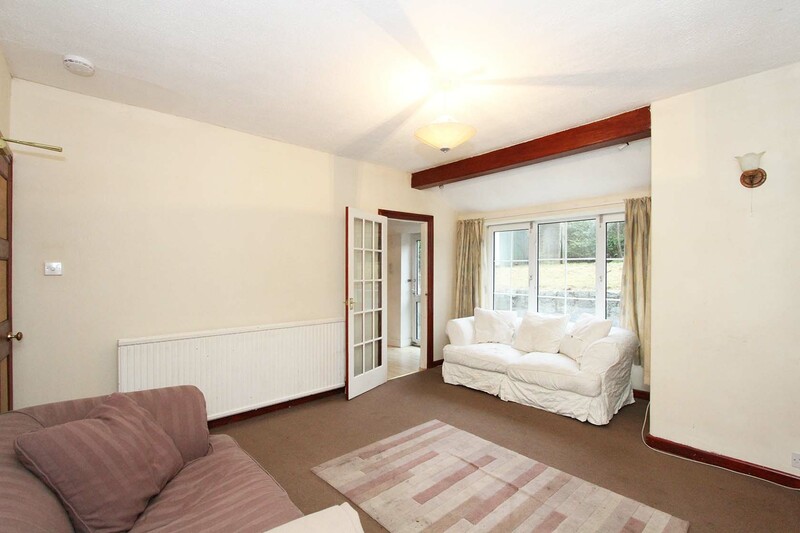 Front facing bay window with open views and fitted with wooden venetian blinds. 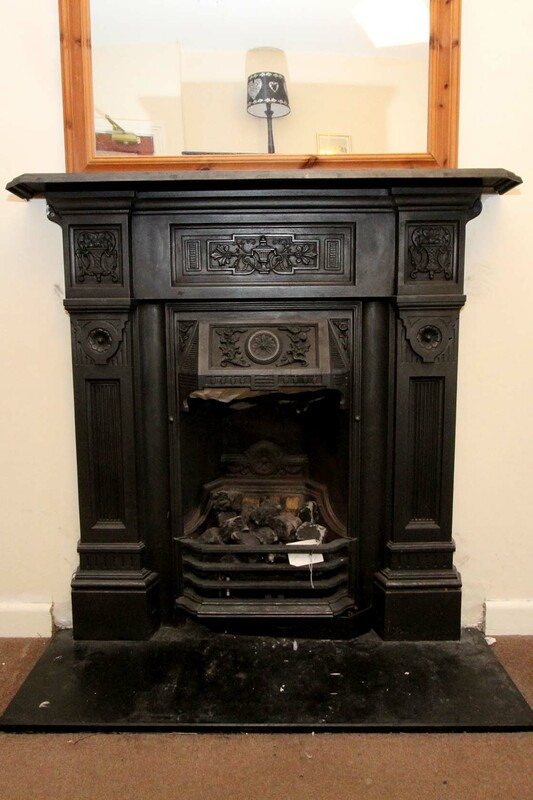 Feature cast iron fireplace with living flame fire inset. Alcoves fitted with shelving and low-level storage cupboards. Light fitting. Radiator. DOUBLE BEDROOM 1: 8'10" x 8'5" approx. 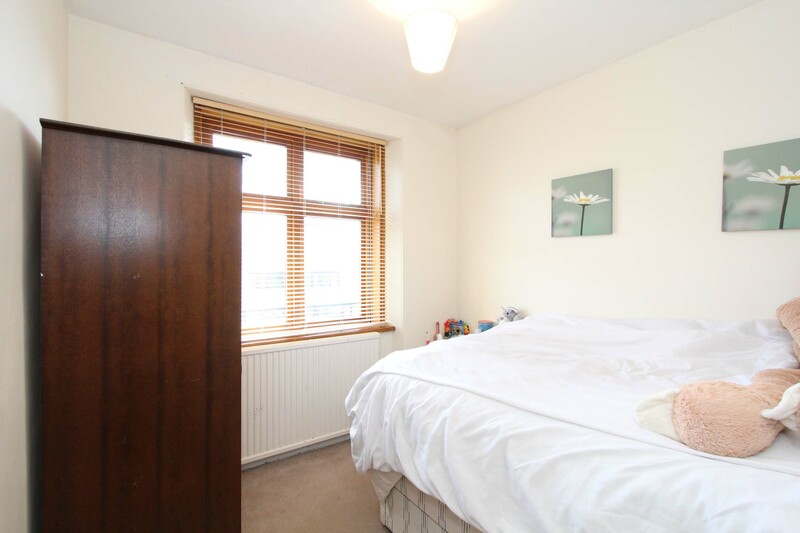 Great sized double bedroom with twin front facing windows fitted with wooden venetian blinds. Ample space for free standing furniture. Light fitting. Radiator. BATHROOM: 5'8" x 5'5" approx. 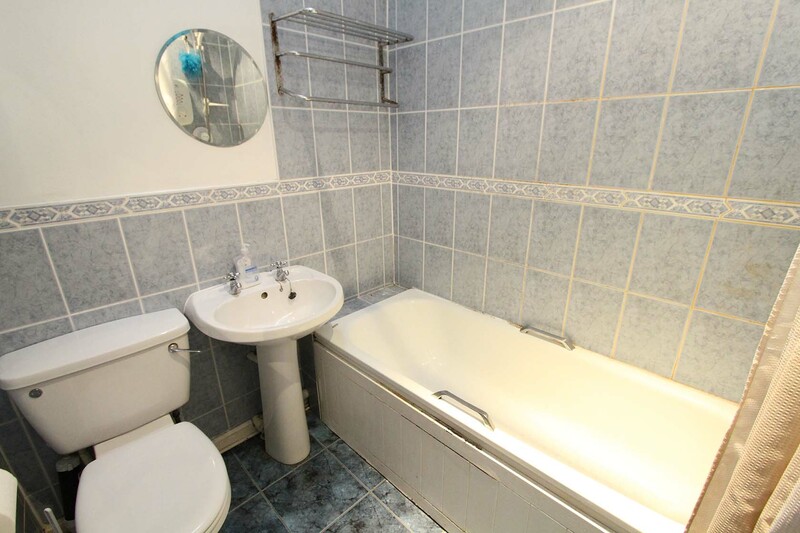 Fitted with a white three-piece suite comprising w.c., wash hand basin and bath with electric shower over. Glass shower screen. Tiled around bath and shower area and to dado height. Wall mounted cabinet with mirrored doors. Wall mirror. Velux window. Tiled flooring. Two downlighters. Radiator. 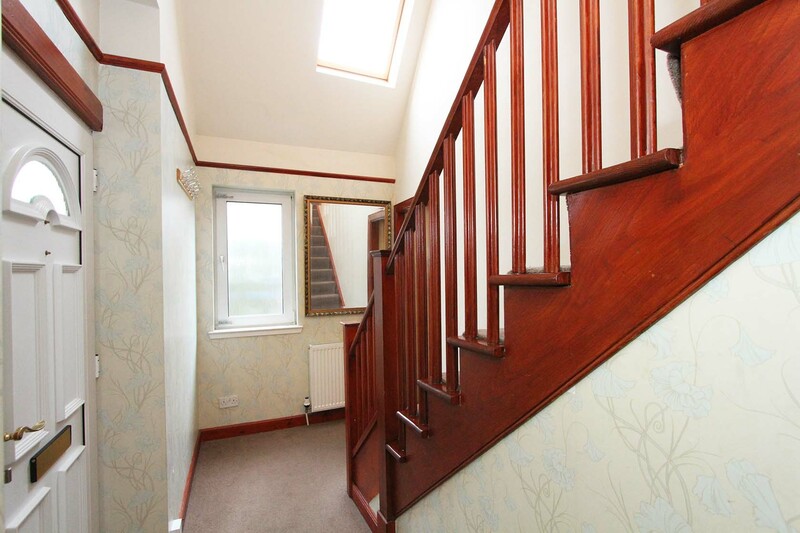 Carpeted stairway and balustrade banister leading to upper floor. LANDING: Light fitting. Velux window. DOUBLE BEDROOM 2: 10'0" x 10'9" approx. 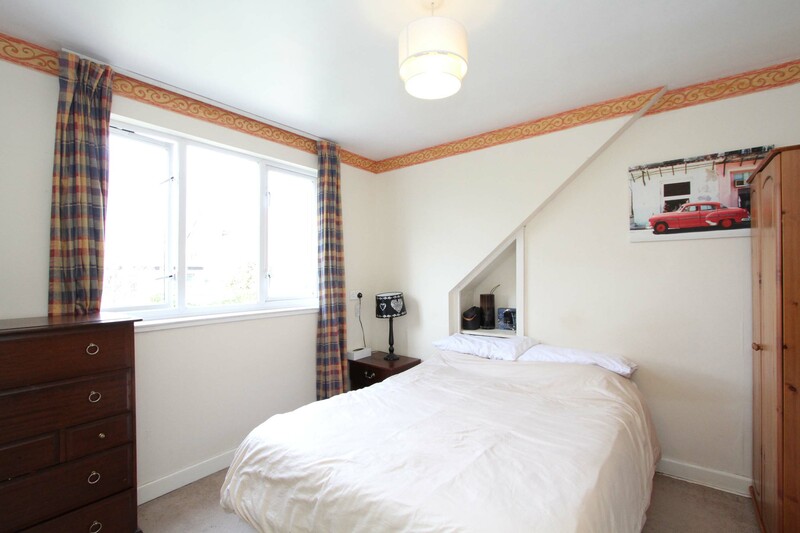 Bright double room with twin rear facing window. Ample space for free standing furniture. Built in shelving. Light fitting. Radiator. DOUBLE BEDROOM 3: 11'8" x 7'5" approx. 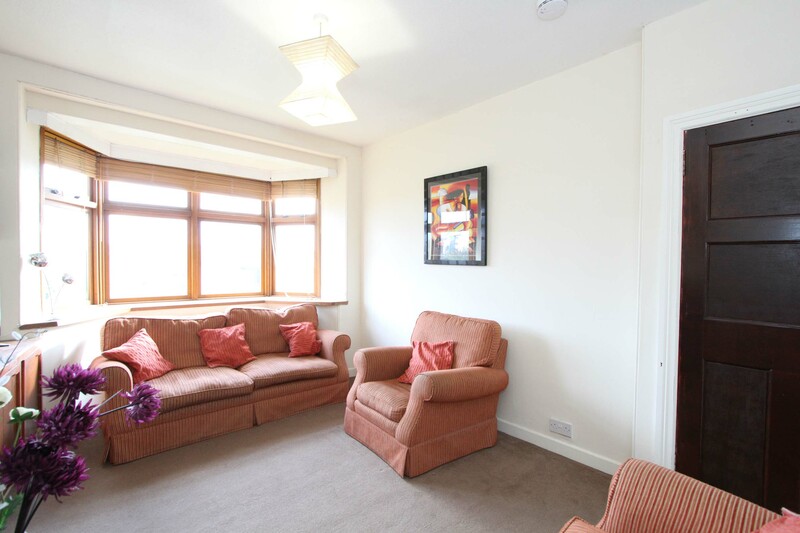 This double bedroom is located to the front. Triple window fitted with wooden venetian blind and open views. Built in shelving. Access to eaves storage. Halogen light fitting. Radiator. 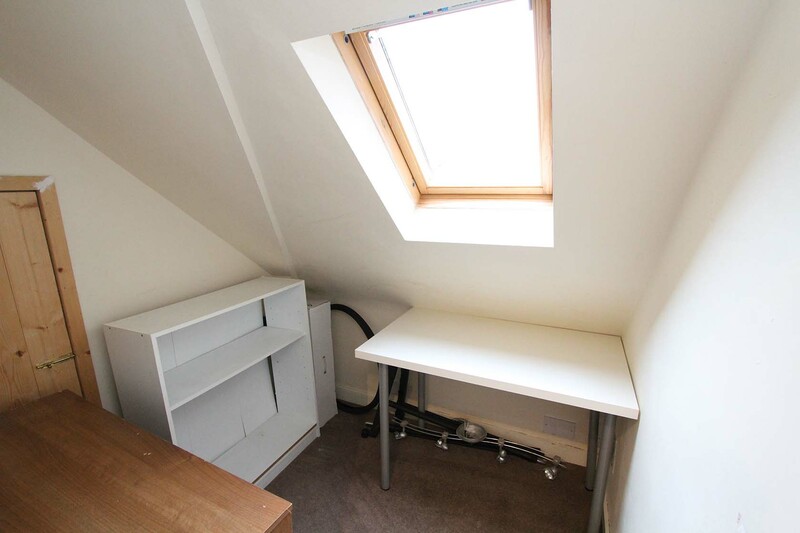 BOX ROOM: Useful storage room with velux window. Access door to eaves. 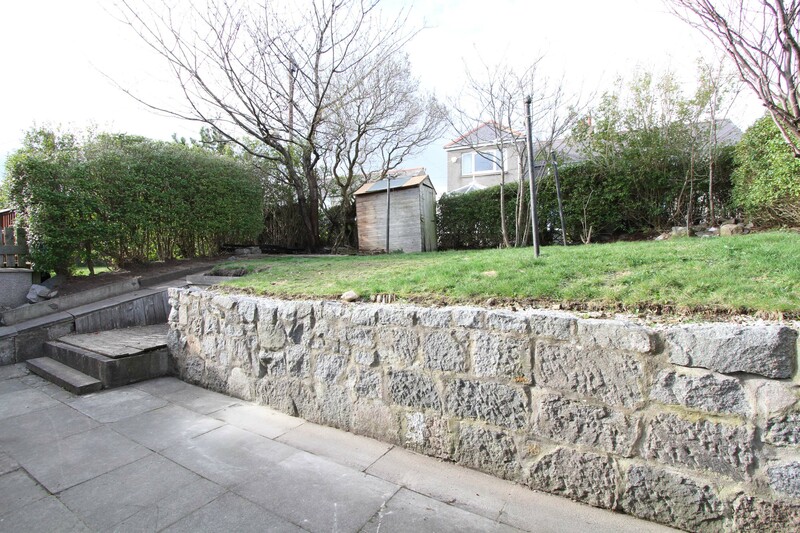 May be suitable for conversion to en-suite subject to the relevant planning permission being obtained. 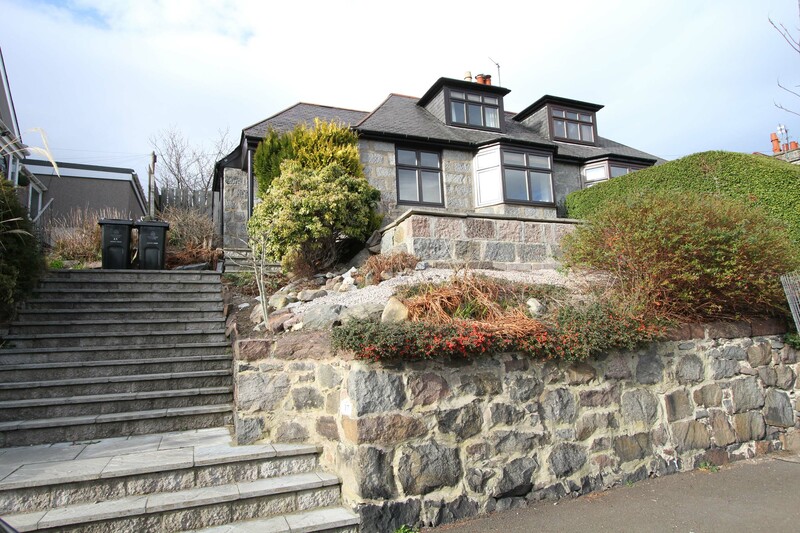 OUTSIDE: To the Front: The garden is on two levels, the upper level is laid to lawn with lovely views. The lower level consists of deep flower beds planted with mature shrubs and seasonal flowers. Small tree. Paved pathway leading to rear. Outside light. 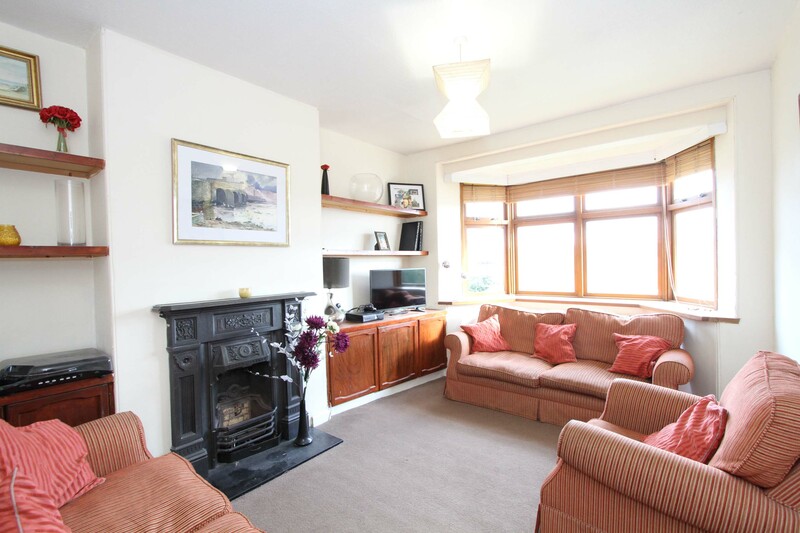 To the Rear: Fully enclosed, well maintained garden on two levels. Lower level is laid to paving and decked patio area. Coal store. Upper level is laid to lawn with drying poles and assorted shrubs. Bordered by hedging and fence. Shed. Light fitting. Security light.